So I’m blogging today from Van Gogh’s Ear. Watching El Classico – watching Barca score early as Luis Suarez [the player who regularly bites other players ] is falling and rolling like he’s been shot. So yeah , typical futbol. Cristiano Ronaldo gets booed each time he touches the ball – I don’t think that’s very nice, I don’t personally boo people because I don’t think it’s nice. But nobody’s here – and out of the 5 people here I’m the only one drinking beer? Where even am I? 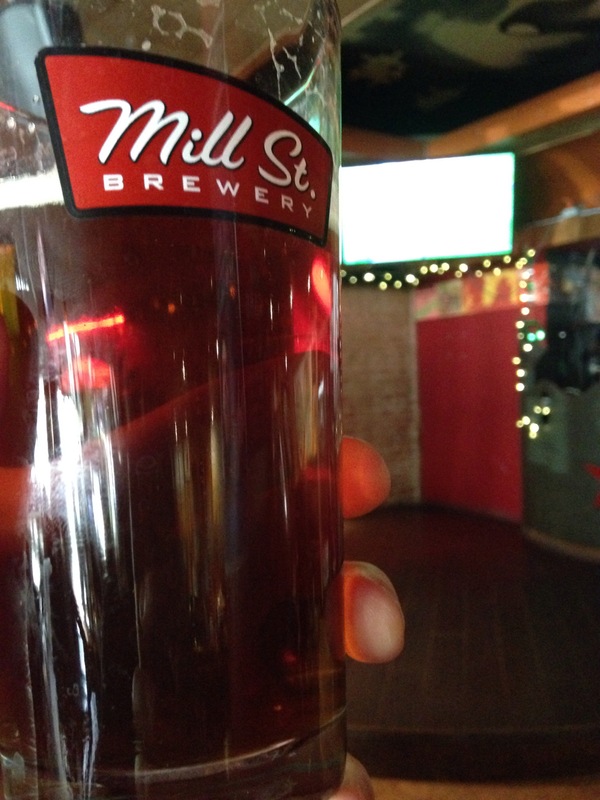 The white thing is the TV – the brown thing my Tankhouse Ale [$5.75]. Is everyone taking a crazy pill except me? Don’t beer and soccer go together? So by my count there’s 1 carafe of wine [barça fan] and 5 glasses of water. Maybe they know something I don’t know? Maybe I’m smarter than they are? Either way I’m booing them during halftime. I bet myself that I could write an entire blog post using my phone while sitting at the car wash. Yes, I’m sitting for 30mins in line because it’s finally warm out and I want a clean car. It’s actually a stupid privileged world problem – who needs a clean car? I’m even driving a Jeep, which I think is supposed to be dirty. I still don’t understand the Jeep thing. Another thing I don’t understand is this. 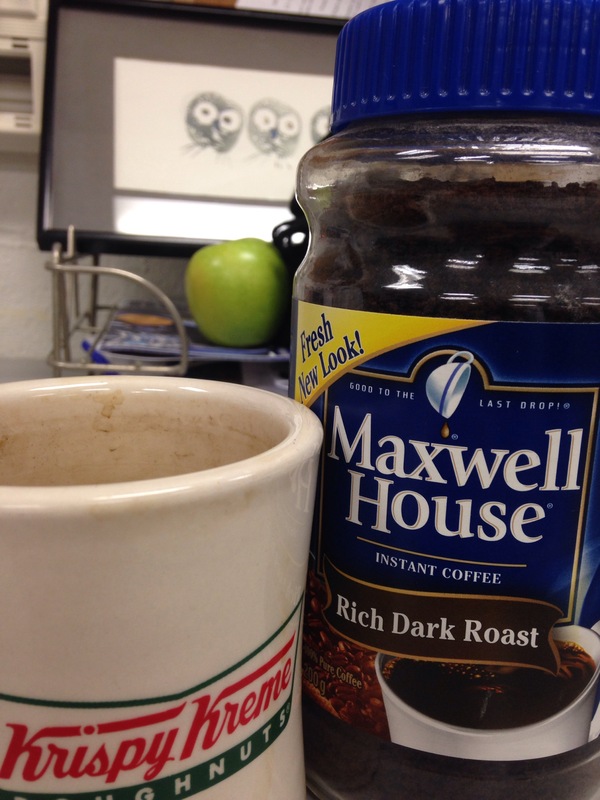 My daughter, M, thinks that instant coffee will be the next big hipster thing. Like Pabst Blue Ribbon beer [previous post here] – everyone knows it isn’t good but we drink it anyways because it’s cool and ironic. So I made myself a cup. How was it? If you’re thinking of trying this at home … don’t. Hey there you go – I entertained myself and maybe brother-in -Spain, wrote about something to drink, and was inspired by my muse M to write. I call it the blogging natural hat trick. Seriously, don’t drink this stuff. “Here’s to your health” is a good traditional toast while raising a glass amongst friends and family. Recently i have been drawn to such a toast with either a whiskey or a whisky. “What’s the difference” you say? “Did you misspell that?”. People new to partaking in a “dram” of the spirit made from mashed grains may not even know that the Irish version is called Whiskey [with an e] and the Scottish version, more commonly known as Scotch, is Whisky [no e]. More importantly to the point. A friend of mine, Professor R we can call him [University prof] recently found this article. 10 Health Benefits of Whiskey. 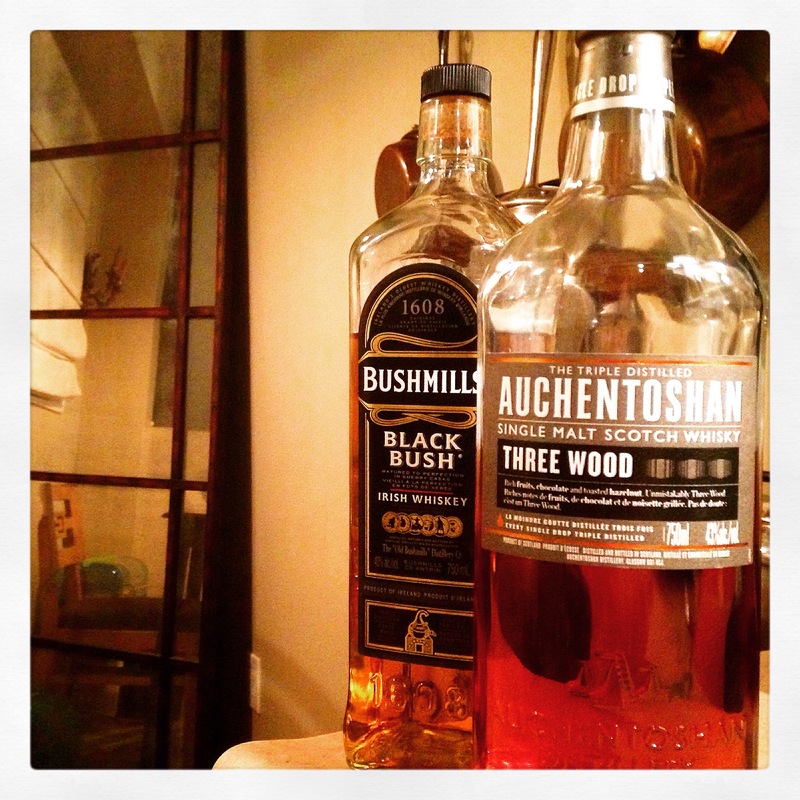 I have at home the very good BushMills Black Bush [$37 LCBO#: 61374] and the delightfully smooth Auchentoshan Three Wood Scotch Whisky [$80 LCBO#: 720532] – which is only opened when my daughter M is in town. Maybe it’s the DNA speaking, or maybe it’s just a freakin’ good scotch, but we both love it. I think I like it because it’s aged initially in bourbon casks and then finished in Oloroso and Pedro Ximenez casks. Bourbon and then Spanish Sherry – I like both those things. Back to Professor R. Now I call him “Professor R, the Enabler”. Thanks for the encouragement. Here’s to my health.